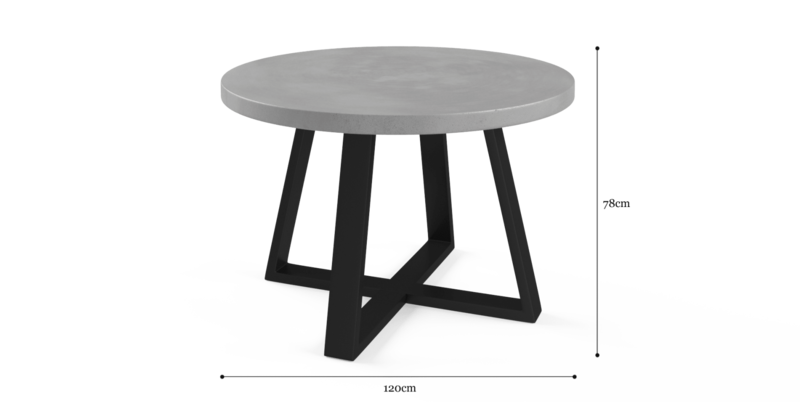 With a robust geometric design, the Marin Dining Table makes an on-trend contemporary statement. To personalise the look, choose different styles of dining chairs to mix and match. Concrete and iron combine for this edgy industrial look. With a black and grey colour palette that is endlessly versatile. 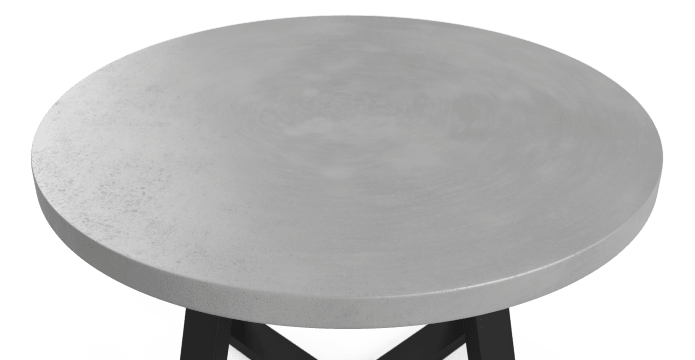 The solid concrete naturally resists spills and stains. 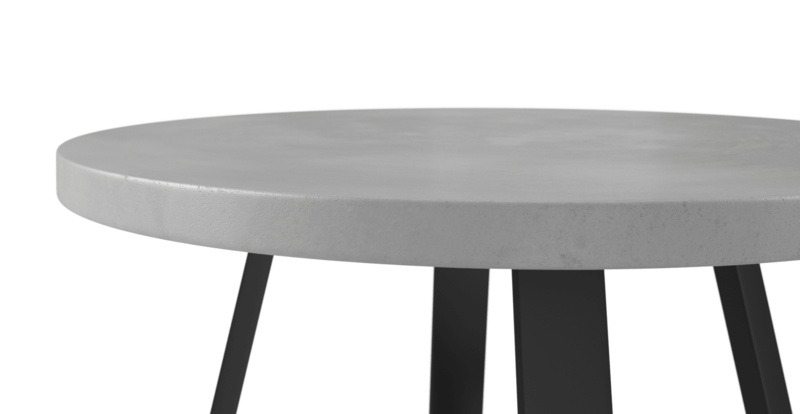 See more dining tables in various styles from Brosa. 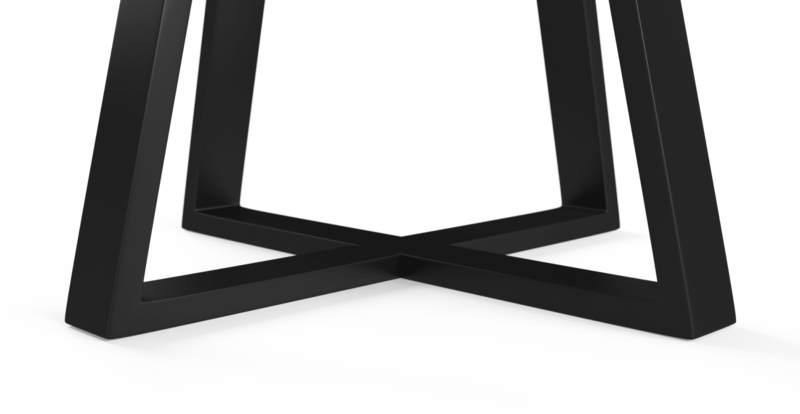 The silhouette of the Marin Dining Table is simple yet striking. 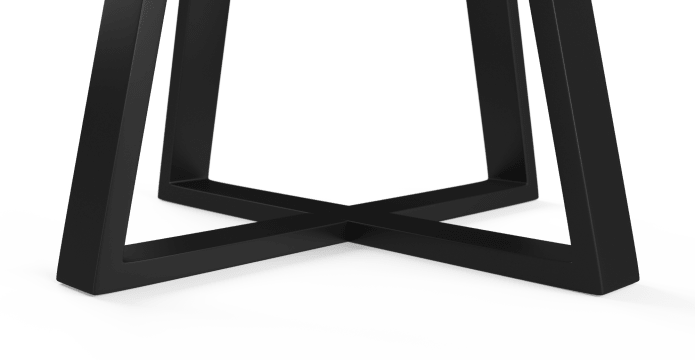 The strong symmetry and bold lines are guaranteed to make a statement. Strength tested, hand selected materials mean the Marin is suited to extended use. 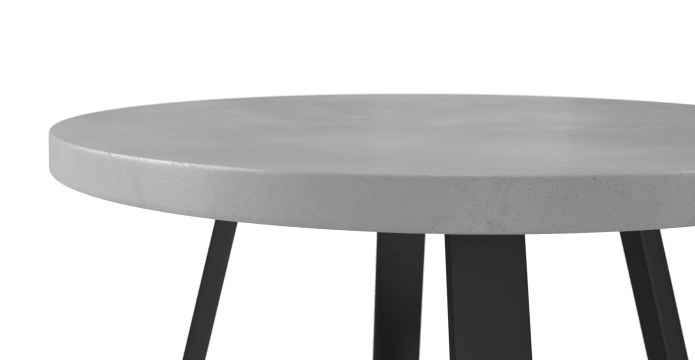 The table has enough space to seat four people with ease. 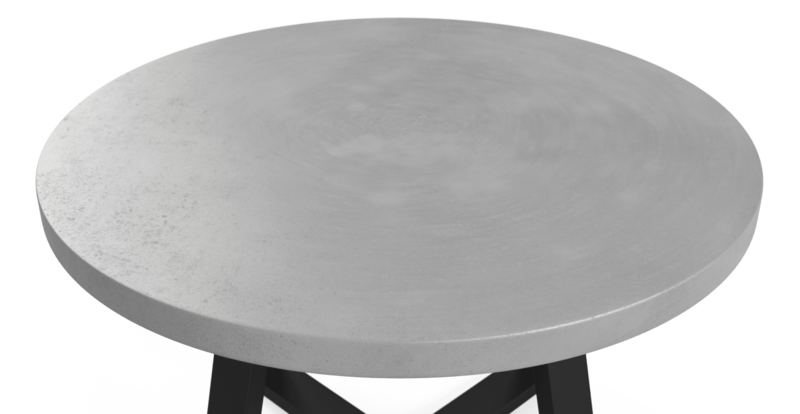 Love my concrete table. Looks fantastic. Modern and just what I wanted. I just put together my Marin table and I couldn't be happier. The table sits beautifully in my new apartment. Everyone from this company has been fantastic to deal with. Their products are well made and love their designs. I had forgotten to claim by discount on my order. I sent an email and quickly received a response which organized for me to receive this. Also I was kept informed at all times about my order and delivery time. Efficient service, well done. Good news! Marin Concrete Dining Table 120cm is currently on display in our Alexandria Collingwood studio.